Ever since Alice knew she was starting school last year all she kept going on about was her school shoes. She couldn’t wait to choose her shoes and wear them everyday to school. 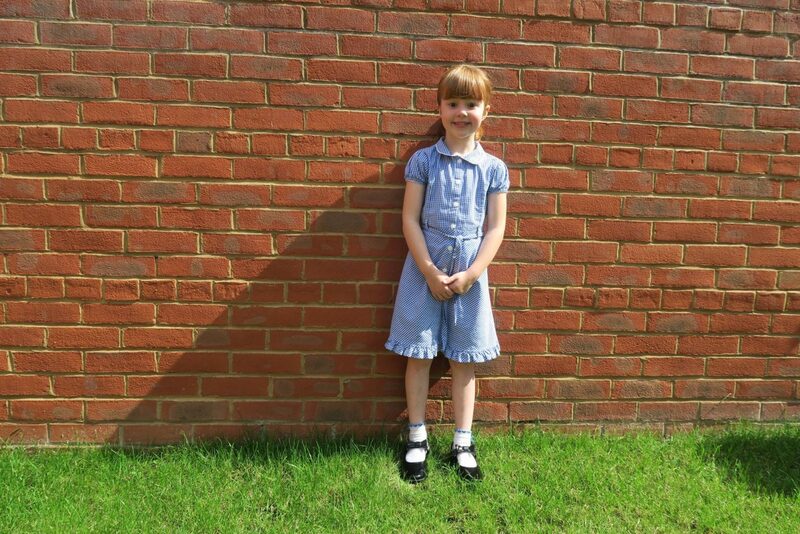 This hasn’t changed over the year, even on the few non-school uniform days she has begrudgingly worn normal shoes. As any parent will tell you it’s good to get their shoes early as you can imagine there are a lot of school children in the country and they all need a pair of shoes. Shops sell out of sizes quickly! When Jake Shoes got in touch to see if Alice and Holly would like some shoes for school and pre-school, we were excited to see what they had to offer. 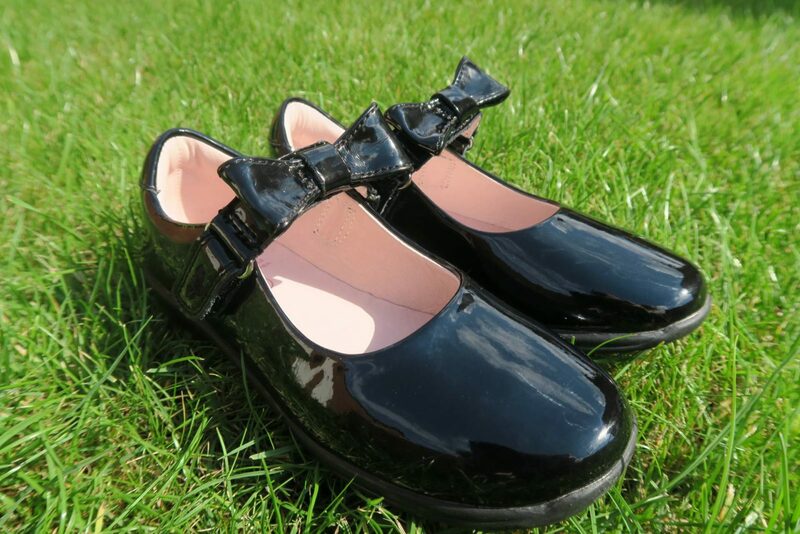 Alice is girly girl and to be honest I’m surprised how much she loves her school shoes bearing in mind they are black. But I’m not complaining. She also knows what she likes and doesn’t like which means I wasn’t going to choose them without her. It didn’t take her long to choose, the minute she saw these Lelli Kelly shoes there was no going back. Her friend at school has a pair and she is already excited to show her that she has them too. 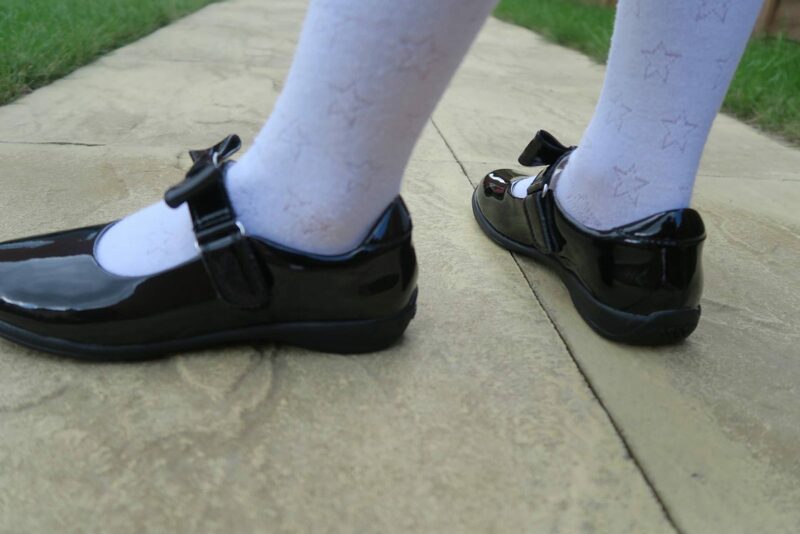 Lelli Kelly have been putting the sparkle back into school shoes since they launched in 1992. We always choose a patent finish as they are more durable and last longer in terms of how they look. What’s different with Lelli Kelly shoes are the interchangeable straps. On each side of the shoes is a velcro strap, meaning you can take the bow strap off and pop on the sparkly butterfly strap for a change. You can just imaging how happy this made Alice. There is also a plain strap too, but as you can see that didn’t appeal to Alice. 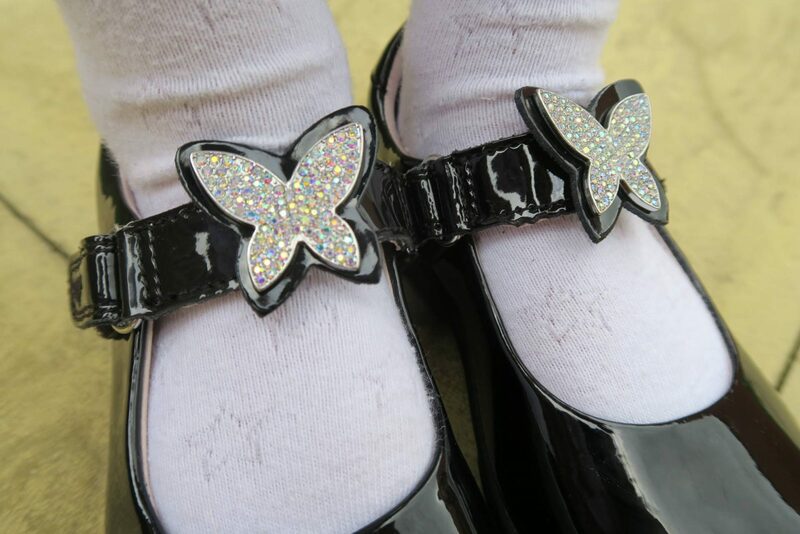 I am really impressed with the shoes, I’ll be honest I wasn’t too sure about sparkly butterflies for school shoes. But they are not too sparkly and it makes my little girl very happy. Plus we all know what those school mornings can be like and if she wears these without any arguments then I’m not going to complain. 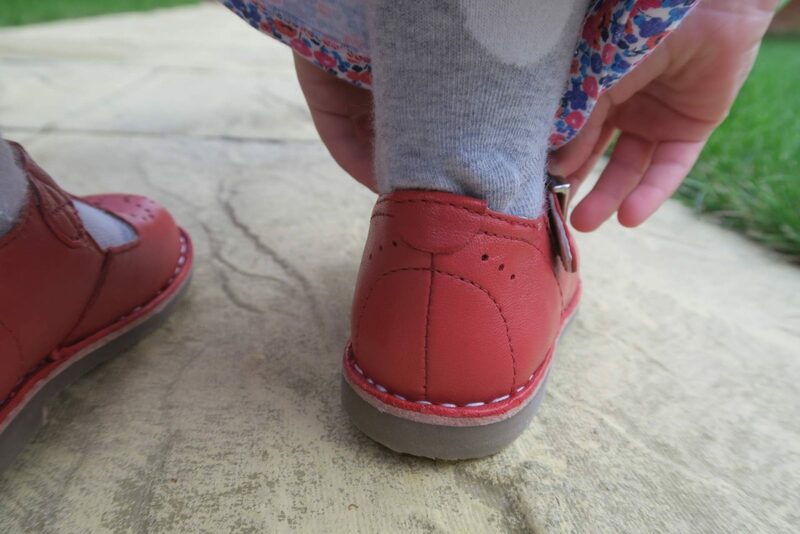 As you can see, Alice loves her new shoes and whilst we don’t want to wish the summer holidays away, she can’t wait to get back and wear them. My little Holly has been going to preschool since January for one morning a week, but with her turning three in a couple of weeks we are increasing it to two mornings from September. We will gradually extend these to two days to prepare her for starting school next year. 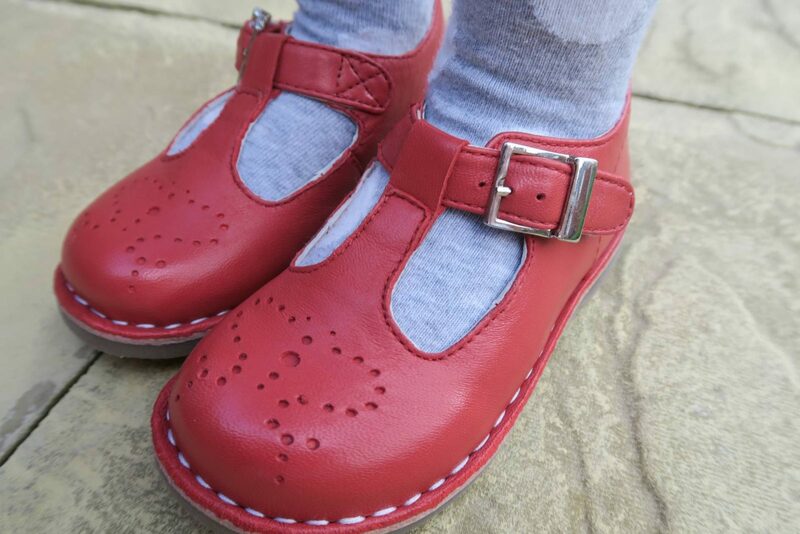 When choosing shoes for preschool, I wanted shoes that would be hard wearing and also versatile. 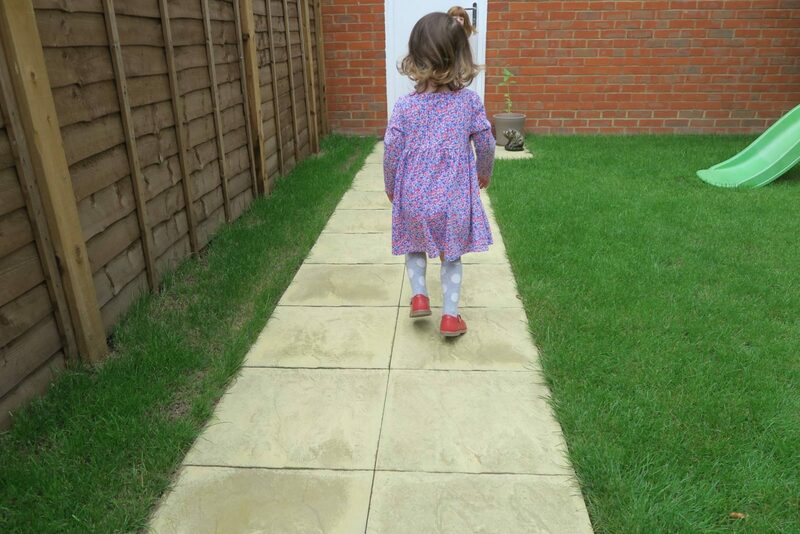 Holly doesn’t wear a uniform at her preschool, but I do keep a selection of clothes that are just for preschool. That way I’m more relaxed if they come back messy. It was a really easy decision which shoes to choose for Holly. I love this style of bar shoe and red is Holly’s favourite colour. I love everything about these shoes. From the colour, the style, to the buckle and the cute thread detail around the edge. They are just the cutest shoes. Holly loved them from the minute she saw them. ‘There red mummy’! She wore them proudly with her sister, telling me they were her school shoes. Whilst I may not be ready for my little girl to grow up, she most definitely is and she loves having everything like her big sister. 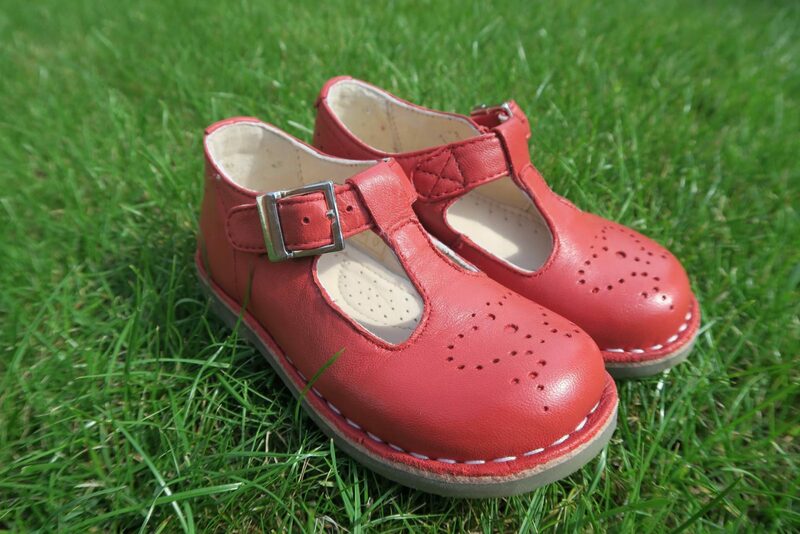 They are going to be perfect as we head into the autumn months and they are a soft leather which is great for little feet. I can just see her in some frilly socks with them. Alice’s Lelli Kelly shoes are RRP £49.99, they come in both an F and G width fitting and you get a free gift too! Jake Shoes also have a full range of school shoes that you can choose from. 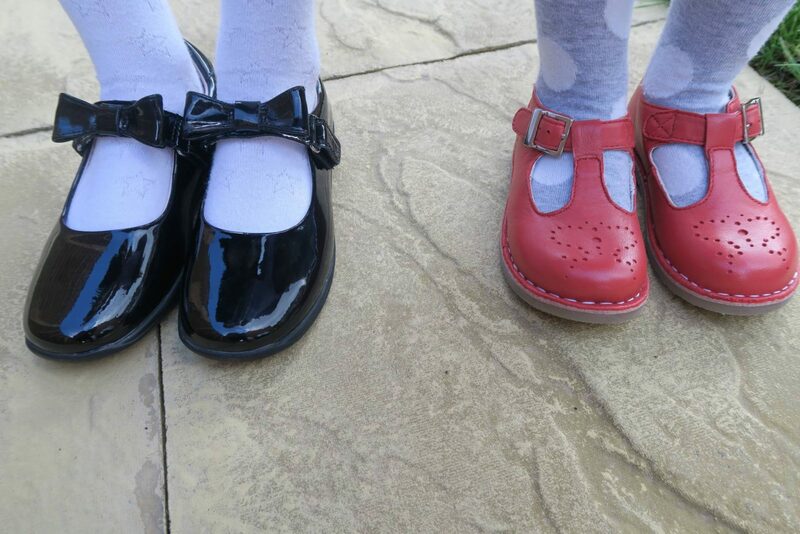 I’m really pleased with both the girls shoes and feel pretty pleased to have their shoes all ready for September. Disclosure: We were sent both pairs of shoes in return for an honest review. All views and opinions are my own. Both of these are lovely – so classic! Holly’s are especially lovely – exactly the kind of thing I would have chosen. 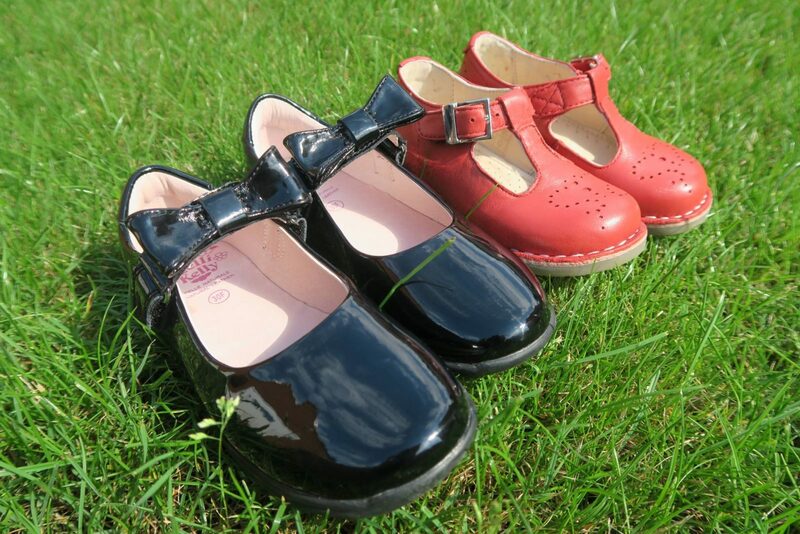 I remember the excitement of choosing my school shoes at the start of each year – it was always a big deal! It makes me feel quite sad at how boring all the boys shoes are having read this! The school shoes are great. My girly girl would love those for school. Oh I love the red shoes! And I wish lelli Kelli existed when I went to school, I love the interchangeable straps on them. These are very cute! I love the interchangeable straps. I really struggle with shoes for Libby as she is a nightmare for ruining them by just being so active, I ended up buying her three pairs in the last school year as they kept falling apart! 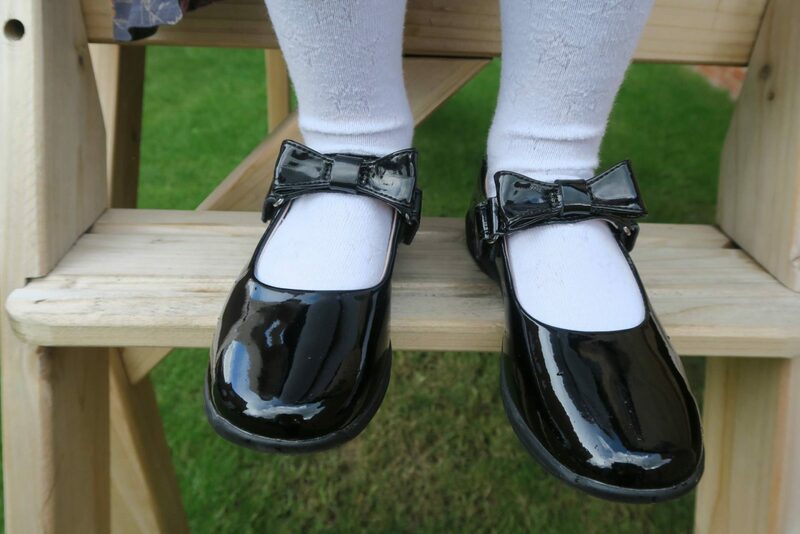 Aww the girls look adorable in their new shoes – completely agree about patent leather being more durable, every pair Boo’s had have been durable patent. P.s. who knew Lelli Kelly were 25 years old! I use to have a pair of shoes exactly like the ones you picked for Holly. They take me right back… love them. I had no idea that Lelli Kelly did school shoes, I though it was only those glitter trainers. I like how you can change the straps yet both styles are okay for school. So important to get them early, last year I made the mistake of waiting until the last minute and the shop had almost run out of Monkey’s size! We got the last pair. Wont be making that mistake again!